After surviving the murder of his whole family, a toddler finds refuge in a graveyard, where he is raised by ghosts. Nobody Owens grows up as a living child among dead people, cared for and loved by people who are either not-quite, or no-longer, human. Eventually, as a teenager, he must live among his own kind, the living, in a world he knows almost nothing about. But first he must escape the man who tried to kill his family, who is still searching for Nobody. 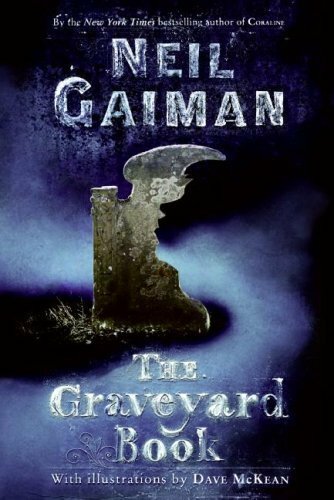 This is a haunting (pun intended), scary-yet-sweet little ghost story, and although it’s marketed as a children’s book, age-based categories don’t really apply to Neil Gaiman’s books. I found it had much the same feeling as Gaiman’s recent novel for adults, The Ocean at the End of the Lane — a fantasy novel rooted in the real world, that raises questions and suggests answers that are relevant even to those of us who never have any dealings with ghosts or witches. Both books made me cry a little at the end, and that’s always a recommendation. Very strong, highly readable new fiction from Jennifer Weiner. She’s tackling a very heavy and intense subject here (as she often is) — in this case, a prescription drug addiction that pulls high-achieving suburban mom Allison into a nightmare she never imagined. 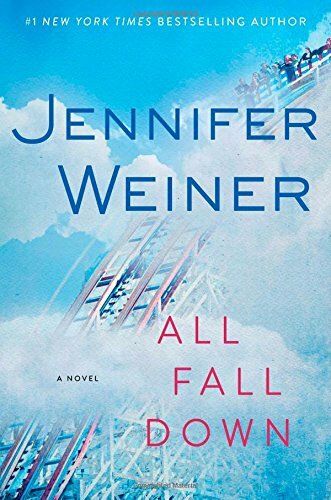 Weiner does a great job of making Allison’s slide into addiction absolutely real and believable, treating the subject with the seriousness it deserves, while still maintaining the self-aware, snarky voice we expect of a Weiner heroine. The humour here is often dark, but it’s real, and there aren’t easy, happily-ever-after solutions to Allison’s problems. I found this a quick, absorbing and satisfying read, and I’d definitely recommend it. This is a great concept for a new novel by Rainbow Rowell. Unlike her last two novels, which focus on teenaged characters, Landline brings us into the middle of a mature relationship between two people who have been married for several years, have two children together, and find themselves at a crossroads in their relationship. The improbably-named Georgie McCool is a TV comedy writer with two young children and a husband, Neal, who is very good at being a stay-at-home dad but not entirely happy with that role. The conflict between career success and family life is rarely more believably drawn than it is at the beginning of this novel: Georgie is about to get the big break that she’s been waiting for since college, just as her marriage may be falling apart. Her troubled relationship with Neal is in sharp contrast to the easy relationship she’s always had with her writing partner, Seth. Seth and Georgie are about to achieve the dream they’ve shared for years — a show of their own — but Georgie’s personal crisis throws everything into chaos as Neal takes the kids and goes back to his mom’s house for Christmas, leaving Georgie behind. 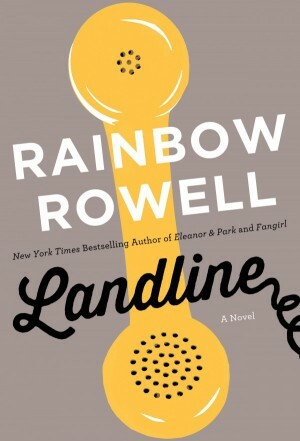 This is where the book’s “fantasy” twist occurs — Georgie, who also retreats to her mom’s house in the middle of the crisis, discovers an old landline phone that connects her, not to the present-day Neal who won’t answer her cellphone calls or texts, but to the Neal of many years ago, the man she fell in love with. She has a direct line to the past — but what should she do with it? It’s an intriguing story that (to me, anyway) centred around the question: what really matters, being in love with someone, or wanting the same kind of life? Georgie knows she loves Neal, and she’s pretty sure he used to love her. But do they want the same things? To me, this is one of the most important questions there is, both in life and in fiction; it’s a major theme in my own latest novel, and I was interested in how a writer as insightful as Rowell would explore it. Georgie hopes that talking to past-Neal will help her figure this out, but what I found a little frustrating (in a very engaging and readable book, by the way!) is that as soon as she becomes obsessed with solving her marital problems, her work situation — which is on a deadline so tight that she had to miss celebrating Christmas with her family — falls by the wayside. Georgie just stops working on or caring about the show, and though I believed she wanted to get Neal back, I didn’t for one second believe that the woman we’d been introduced to at the beginning of the novel — the comedy writer who has dreamed her entire life of writing her own show — would drop that ambition like a hot potato for love. The whole conflict that drives the story is that Georgie wants Hollywood success just as much as she wants Neal, and he’s not OK with being one of her two great loves. For her to lose interest in her dream project and stop showing up to work during those crucial days seemed to undercut that basic conflict, and it made me care a little less about the ending than I thought I would when the story started. I still enjoyed the book, and other readers might not feel the same way I did about it, but it is definitely below both Fangirl and Eleanor and Park on my Rainbow Rowell bookshelf, because I simply didn’t feel the story was as well-executed as either of those other two books were. Oh my. This book. I’ve loved all Robin Hobb’s books so much, but especially the two trilogies that focus on FitzChivalry Farseer and his friend the Fool. Fitz and the Fool are both such great characters, and the world of the Six Duchies in which they live, the conflicts in which they are caught up, are so rich and believable, that those six books are virtually impossible for a fantasy-lover to put down. The last book of the Tawny Man trilogy, Fool’s Fate, gave Fitz as much of a happy ending as is possible for someone who has lived such a tormented life. While he reluctantly accepts that he may never see his friend the Fool again, he is married at last to his childhood sweetheart Molly, far from the conflicts and power struggles of the royal court, with some hope of a peaceful retirement. 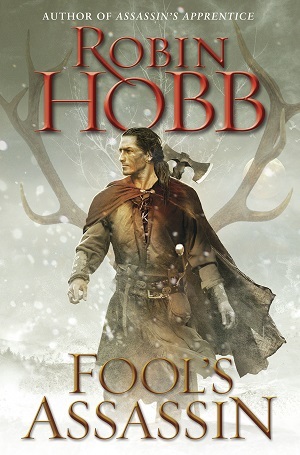 As a reader who loved the character, I was quite happy to leave Fitz there — but when I heard Robin Hobb was writing a new trilogy about Fitz and the Fool, I couldn’t wait to get my hands on it. After a character you love has suffered as much as Fitz did over the last six books, there’s a part of my reader’s heart that would just like to see him left to a happy old age. But even knowing that he will have to suffer again and go through terrible trials and lose almost everything he holds dear — it’s still irresistible. And that’s enough. Enough to start Fitz on another unwanted adventure, lead him down another path so dark and dangerous that it’s impossible to tell where it will end up. Except that it’ll end up with another two books, and I CAN’T WAIT. The summer of 1927 was an eventful one by any account — Charles Lindbergh flew across the Atlantic; Babe Ruth set a home-run record that stood for nearly 50 years. Prohibition was still in force but widely ignored; the economy was booming — for some — but the crash of 1929 was already on the horizon, though few could imagine it. 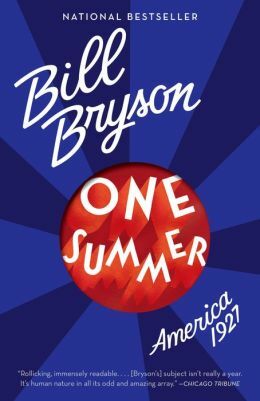 Bill Bryson brings this memorable summer to life with his usual wit and style, making this book a thoroughly enjoyable piece of social history. It’s a chunky book and when I finished reading it halfway through Europe (having taken it as my “paper book” for times when I couldn’t charge my Kobo), I left it on the “drop a book, take a book” of the hotel where we stayed in Copenhagen. I hope some other world traveller picks it up and is entertained while learning about all the records set and broken and the crazy ups and downs of America in the summer of 1927. 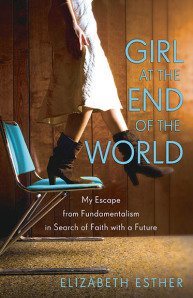 Elizabeth Esther grew up in an extremely conservative, narrow, closed-off fundamentalist Christian group started by her grandfather, a group whose doctrines may not have differed greatly from those of many other Protestant evangelicals, but whose methods involved extremely strict control over everything children thought, said and did. Her upbringing, as she paints it in this memoir, was clearly one of religious abuse from which she and her husband managed to break away only after marrying and starting a family of their own. The claustrophobic, controlling atmosphere of the family/church (there’s little distinction between the two, in this story) in which she was raised makes this a difficult read at times, but it’s refreshing to read such a story from someone who came out of it still holding to a strong — though very different — Christian faith. Many readers will find it surprising or ironic that Elizabeth Esther left a controlling and abusive religious organization to find wholeness and freedom in the Roman Catholic church (since that church has also been a source of spiritual abuse for many). For me, the takeaway lesson here was: most churches have pockets of darkness and negativity — after all, I experienced growing up in the Adventist church as a positive place with a great deal of freedom, but for other Adventists I know, the church and home were just as narrow and controlling as the sect Elizabeth Esther’s family belonged to. Within most faith groups there is space to find a place of peace and affirmation, but if your religious group (or sub-group) is focused on controlling behavior to the exclusion of all other values, you need to find the courage to walk out the door. Elizabeth Esther did find that courage, and her story will surely be inspiring for others who are abused in the name of God, no matter what sub-sect of what religion they belong to. This is the last John Green novel I hadn’t yet read, so that now I have nothing to do but wait for him to write a new book (which could take awhile — I mean, not George RR Martin kinda long time, but awhile). And this one is only half by John Green, but the other half is by David Levithan, whose writing I also enjoy, so that’s good. Both my kids recommended this book to me, and I read it one night on a train travelling from Paris to Hamburg. 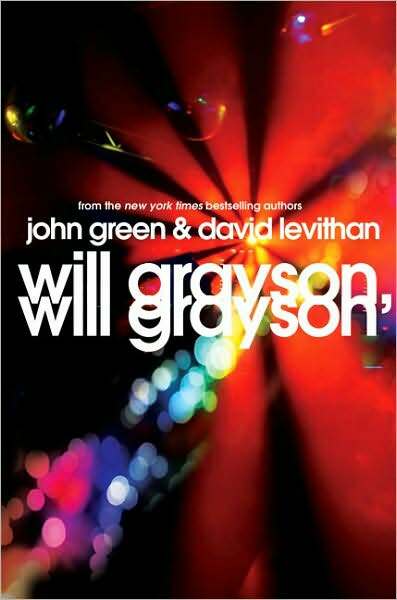 This novel tells the story of two teenaged boys with the same name (Will Grayson, obviously) whose paths cross in unexpected ways as one Will starts dating the other Will’s best friend. The chapters alternate between the two main characters’ points of view, with one Will’s chapters being written by Levithan and the other by Green. As you’d expect from John Green, there’s a snarky, often hilarious teenage wit; as you’d expect from David Levithan, there’s a nuanced and thoughtful portrayal of a gay teenager. And as you’d expect from both, there’s humour, insight and a realistic picture of adolescent life.